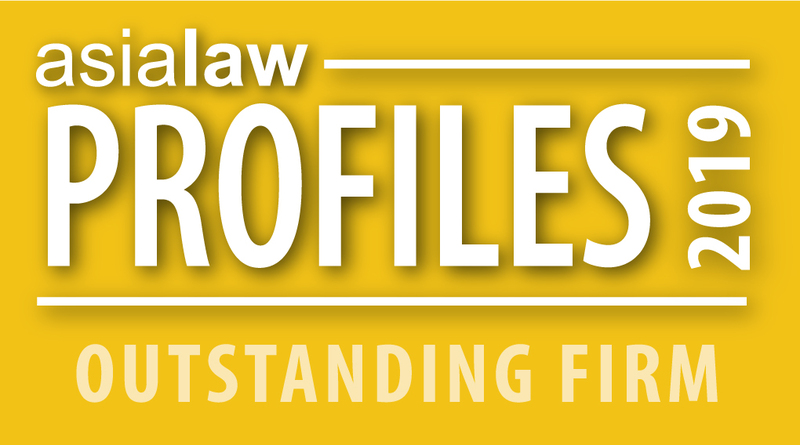 We are pleased to announce that in Asialaw Profiles 2019, our firm is recognised as Outstanding in the practice areas of Banking & Finance and Corporate & M&A. Besides, our firm is Highly Recommended in the practice areas of Dispute Resolution, Insurance and Labour & Employment; and Recommended in the practice areas of Construction, Real Estate, Intellectual Property and Consumer Goods & Services. Meanwhile, our Partner and Head of Commercial Department, Mr Philip Wong is recognised as the Asialaw Leading Lawyer in the practice areas of Banking & Finance and Corporate & M&A; and our Partner, Mr Walter Lee is also recognised as the Asialaw Leading Lawyer in the practice areas of Dispute Resolution and Corporate & M&A. We are most grateful for the long term support given by all our staff and the clients.